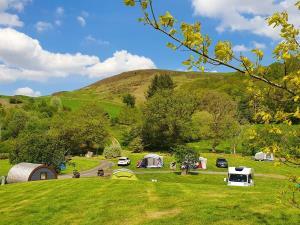 Gypsy Pod @ Woodlands Caravan Park01970 890233work GlampingA fantastic alternative to camping. Our pod has a covered porch area, lockable glazed double doors and a domed roof that allows you to easily stand up inside. Features two pull down benches to sleep on, guests are asked to bring their own sleeping bags or bedding. A fantastic alternative to camping. Our pod has a covered porch area, lockable glazed double doors and a domed roof that allows you to easily stand up inside. Features two pull down benches to sleep on, guests are asked to bring their own sleeping bags or bedding. 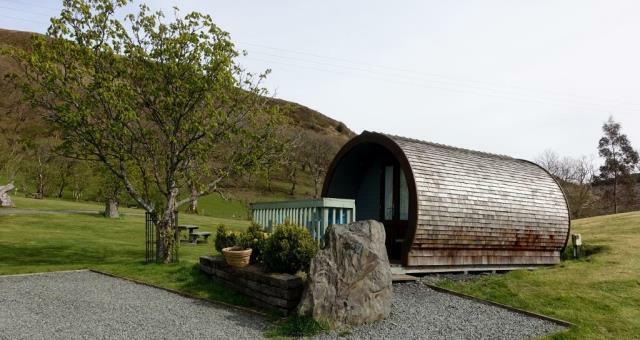 A deposit of one nights stay will be taken to reserve the pod. The balance will then be due on your arrival.